Growth rates are a standard calculation that most businesses have to make, especially with internal metrics such as user growth. In Excel you would have to write a custom formula, which will become inflexible if the data changes. 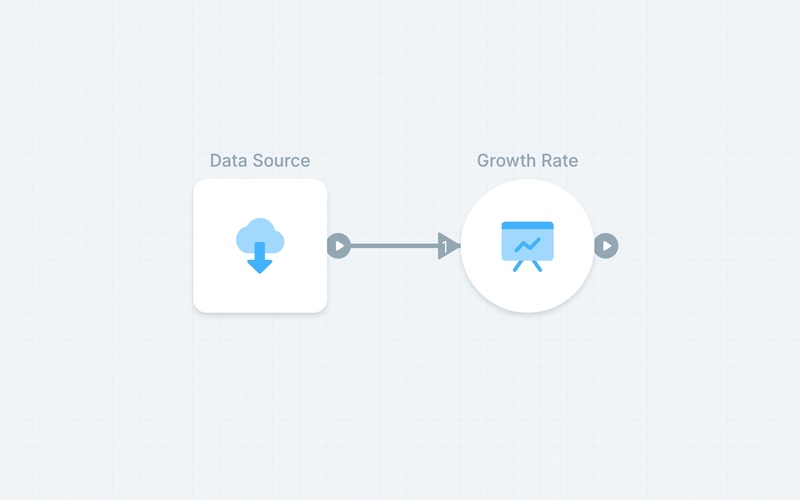 Using the Growth Rate Object, a growth rate column can automatically be appended to any incoming data. If new rows are added, the Object will accommodate and update the growth rate calculation. Simply connect your data to the object and choose your settings.